Las Piñas, officially the City of Las Piñas, (Tagalog: Lungsod ng Las Piñas), or simply known as Las Piñas City, is a 1st class highly urbanized city in Metro Manila, Philippines. According to the 2015 census, it has a population of 588,894 people. The story about the true origin of the city's name, "Las Piñas", varies. One version mentioned, that traders from the province of Cavite and Batangas shipped their first piñas (Spanish for pineapples) for sale to this town, before they were distributed to nearby markets. Another version related that it was "Las Peñas" (the rocks), evident by the quarrying of stones and adobe, which were used to construct buildings and bridges. The old church bell, from St. Joseph Parish Church, founded by Diego Cera, has been preserved inside the church museum. An inscription on the bell states, "Siendo cura del pueblo de Laspeñas el M.R.P. Padre Diego Cera se fundió este equilón año de 1820," showing that even during the time of Diego Cera, the town's first parish priest, the town was called "Las Peñas", for some time, and eventually was renamed "Las Piñas". Las Piñas was one of the earliest fishing settlements on the shores of Manila Bay. It was proclaimed as a province of Manila either in 1762 or 1797. Agustin, a Spanish historian, and Fr. Juan de Medina placed it at 1762. Las Piñas was formerly called "Las Pilas" due to its separation from Parañaque due to tribal conflicts. On the other hand, Manuel Buzeta recorded the date at 1797. Felix Timbang was the first gobernadorcillo in 1762 while Mariano Ortiz was the first municipal president of the town of Las Piñas. Besides being famous for its Bamboo Organ, which was built by Fr. Diego Cera and completed in 1824, the town of Las Piñas was also a major war theater during the 1896 Philippine Revolution, as it was occupied by forces of Gen. Emilio Aguinaldo. Las Piñas was occupied by the Japanese during World War II and liberated by the combined American and Filipino forces. In 1901, the municipality of Las Piñas was separated from Manila and incorporated to the newly created province of Rizal pursuant to the Philippine Commission Act No. 137. Two years later, in accordance with Act No. 942, it was combined with the town of Parañaque, with the latter as the seat of a new municipal government. It was separated from Parañaque to become an independent municipality again on 27 March 1907 by virtue of Philippine Commission Act No. 1625. On 7 November 1975, through Presidential Decree No. 824, Las Piñas was excised from the province of Rizal to form Metro Manila. Las Piñas became one of the municipalities making up the region. On 12 February 1997, President Fidel V. Ramos signed the bill which elevated Las Piñas from municipality into a city. A plebiscite held a month after approved the city status by its residents, and Las Piñas became the 10th city of Metro Manila on 26 March 1997. The current mayor of Las Piñas is Imelda Aguilar, wife of previous city's mayor, Vergel "Nene" Aguilar. 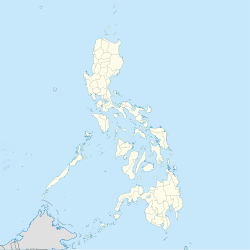 Las Pinas is bounded to the northeast by Parañaque; to the southeast by Muntinlupa; to the west and southwest by Bacoor; and to the northwest by Manila Bay. Half of its land area is residential and the remaining half is used for commercial, industrial and institutional purposes. The present physiography of Las Piñas consists of three zones: Manila Bay, coastal margin and the Guadalupe Plateau. Other religions in Las Pinas includes various Protestant denominations, Iglesia Ni Cristo, The Church of Jesus Christ of Latter-day Saints, Hinduism, Buddhism and Islam. Las Piñas, like other cities of the Philippines, is a local government unit whose powers and functions are specified by the Local Government Code of the Philippines. In general, as a city, Las Piñas is headed by a mayor who heads the city's executive function and the vice mayor who heads the city's legislative function, which is composed of twelve councilors, six each from the city's two city council districts. For representation, the city is considered as one district, and therefore one representative, in the country's House of Representatives. Additionally, like other cities and municipalities, Las Piñas is subdivided into barangays. Las Piñas is divided into 20 barangays. These barangays are grouped into two legislative districts, each with its own set of representatives in the city council. District 1 comprises the northwestern half of the city while District 2, the remaining half. Twelve public high schools and 22 elementary schools were constructed to accommodate the growing number of the enrollees every year. To date, there are 77 day care centers with feeding programs in 20 barangays within Las Piñas. Dr. Filemon C. Aguilar Memorial College, a public college that offers Bachelor of Science in Accountancy, and Bachelor of Science in Business Administration (Majoring in Marketing, Financial Management and Human Resources Development Management), to deserving Las Piñeros. Dr. Filemon C. Aguilar Information Technology Training Institute (DFCAITTI), a public college that offer diploma courses like computer programming, computer technology, and graphic arts. Las Piñas is part of the route of the extension of the LRT Line 1, the South Extension Project. The actual construction will start in April 2019 once the obstructions in Right-of-way are removed. The actual construction will start from Baclaran to Sucat. Once its completed, Las Piñas will be served by the LRT Line 1 through the Las Piñas and Zapote stations. The extension from Baclaran to Niog, Bacoor, Cavite will be finished by fourth quarter of 2021. Alabang-Zapote Road (N411) in 2011. The road continually suffers from perennial traffic congestion resulting from increasing traffic. The road network of Las Piñas are radial in nature, and primarily relies on the Alabang–Zapote Road (N411), which serves as the city's road network backbone. The Manila-Cavite Expressway (formerly Coastal Road, and numbered E3), a toll expressway serves as the major traffic route towards Manila. Daang Hari, which hugs near the boundary with Muntinlupa, and the Aguinaldo Highway (N62) are the major traffic routes toward Cavite. The Muntinlupa-Cavite Expressway (MCX), that leads to South Luzon Expressway, supplements Daang Hari as an alternate to the congested Alabang-Zapote Road over Alabang and Ayala Alabang in Muntinlupa. The road network in Las Piñas suffers from traffic jams, especially on the primary artery, Alabang-Zapote Road, which carried more than 70,000 vehicles daily as of 2016. Public transport, like buses and jeepneys, fill up Alabang-Zapote Road, therefore causing further congestion. The city government petitioned the Land Transportation Franchising and Regulatory Board (LTFRB) to suspend issuing of franchises on bus and jeepneys routes that uses Alabang-Zapote Road. The Las Piñas Friendship Route network serves as the alternate routes on the congested routes, but motorists have to obtain a sticker to use them, as most roads of the network are located in privately owned subdivisions (gated communities), like BF Homes, Pilar Village, and BF Resort. Jeepneys and buses form the major public transport system, and most of their routes follow the Alabang-Zapote Road. Most jeepneys through Las Piñas travel between Alabang and Zapote, within the city, or Baclaran, in Parañaque. Buses usually form routes between Alabang or SM Southmall and destinations in Manila. Buses and jeepneys are blamed for the worsening congestion on Alabang-Zapote Road. On 22 February 1995, then President Fidel V. Ramos signed Republic Act 8003 into a law – declaring Las Piñas Church and Bamboo Organ, Las Piñas Bridge, Asinan Area, Father Diego Cera Bridge, and Old District Hospital as tourist spots of Las Piñas. Las Piñas is famous for its Bamboo Organ located inside the St. Joseph Parish Church in the old district of the city. Built in 1824 by a Catholic priest, Fr. Diego Cera, it is the only organ of its kind in the world with organ pipes mostly made out of bamboo. This organ is a known tourist attraction located in Las Piñas. Plaza Quezon – designated as the Freedom Park in the City of Las Piñas by City Ordinance No. 700-06, Series of 2006. This was in accordance with Section 15 of Batas Pambansa Blg. 880, otherwise known as the "Public Assembly Act of 1985". The town fiesta of Las Piñas is celebrated every first Sunday of May each year to honor its patron saint, Saint Joseph. Saint Joseph's Day celebration is centered in St. Joseph Parish Church in the old poblacion of Las Piñas in Brgy. Daniel Fajardo on Padre Diego Cera Ave. (Quirino Ave.). Las Piñas was also the home of Mary Immaculate Parish Church, popularly known as the Nature Church, designed by Architect Francisco "Bobby" Mañosa. ^ Pransism (2011-11). "Las Piñas (St. Joseph Church): Home of the Bamboo Organ". Back Trails. Retrieved 7 April 2013. ^ Cavada y Méndez de Vigo, Agustín de la (1876). Historia geográfica, geológica y estadiśtica de Filipinas. Con datos geográficos, geológicos y estadiśticos de las islas de Luzon, Visayas, Mindanao y Joló; y los que corresponden a las islas Batanes, Calamianes, Balabac, Mindoro, Masbate, Ticao y Burias, situadas al n. so. y s. de Luzon (PDF). Manila: Imp. de Ramirez y Giraudier. ^ de Medina, Juan S. (1893). Historia de los sucesos de la Orden de N. gran P. S. Agustín, de estas Islas Filipinas... / compuesta por el venerable Fray Juan de Medina. Sucesos que los religiosos de la Orden de N. P. S. Agustín han tenido en las Islas Filipinas... / compuesta por el Padre Pedro del Viva. Manila: Tipo-Litografía de Chofré y Comp. p. 486. ^ Buzeta, Manuel (1851). Diccionario geográfico, estadístico, histórico de las Islas Filipinas ... / por Manuel Buzeta y Felipe Bravo. Madrid: Imprenta de José C. de la Peña. ^ Synchronized National and Local Elections Law - Republic Act No. 7166, Section 3.c.. Retrieved 21 October 2009. ^ "City Ordinance No. 700-06, Series of 2006". The Official Website of the City of Las Piñas. Retrieved 20 December 2014. ^ "Nature Church" Archived 26 December 2014 at the Wayback Machine. The Official Website of the City of Las Piñas. Retrieved 20 December 2014. ^ "Festival Program" Archived 20 December 2010 at the Wayback Machine. International Bamboo Organ Festival Official Website. Retrieved 21 April 2013. ^ "Water Lily Festival". The Official Website of the City of Las Piñas. Retrieved 7 April 2013. ^ Tribune (6 January 2013). "Las Piñas City's 7th Parol Festival". The Daily Tribune. Retrieved 7 April 2013. ^ a b c d e f g h i j k l m n o p q r s "The Architectural Heritage of Manila/Metro Manila Project, 1571-1961". Institute of the Philippine Culture and the Society for the Preservation of Philippine Culture, Inc. Retrieved 12 December 2014. Wikivoyage has a travel guide for Las Piñas. Wikimedia Commons has media related to Las Piñas City.